The first half of the school year includes learning and practicing so many skills. 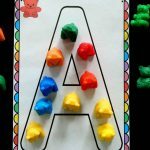 Letter recognition is definitely one of those skills that are worked with over and over again as mastery begins to happen. 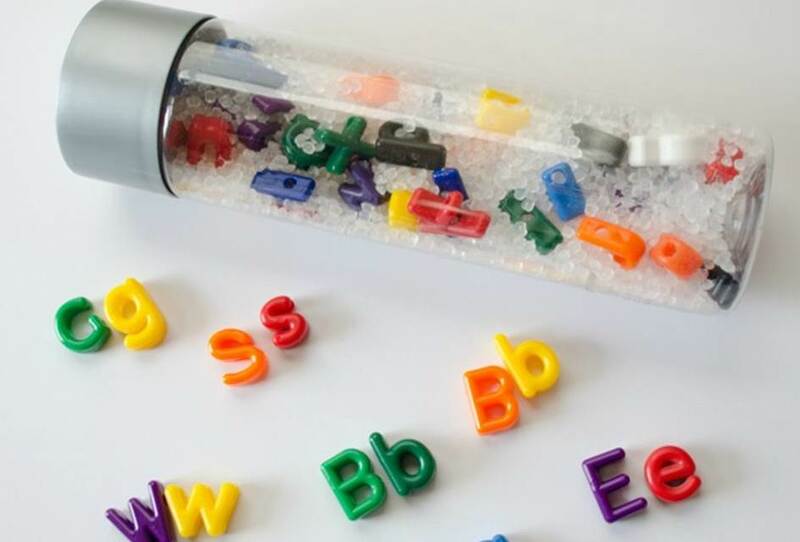 As uppercase letters are learned, lowercase letters come into play. 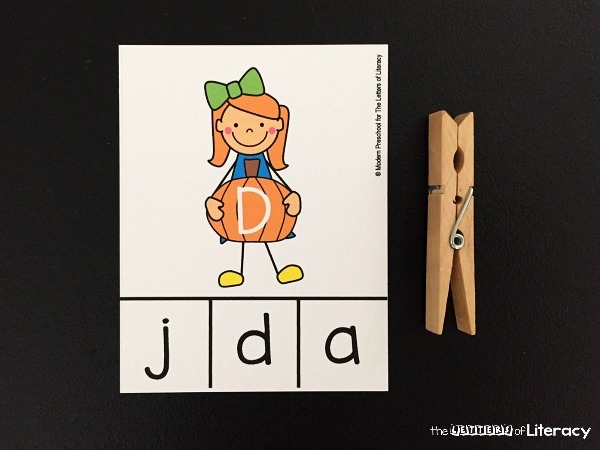 Activities like our Pumpkin Friends Letter Matching Clip Cards incorporate both upper and lowercase, and are perfect for fall! 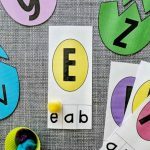 Incorporating low prep alphabet activities that can be differentiated depending on the needs of individual learners are great options for small group times in the classroom too. These cards pair perfectly with both our pre-k clip cards and kindergarten clip card sets! This cute set of clip cards includes 26 smiley friends holding different pumpkins. Each pumpkin has an uppercase letter on it. One of the 3 lowercase letters at the bottom of the cards matches with the uppercase letter. 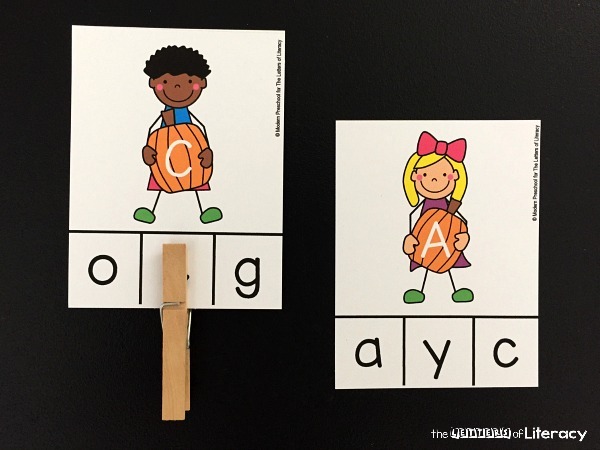 To prep this literacy activity, print the clip cards on cardstock to make them more durable. Cut along the gray dotted lines. 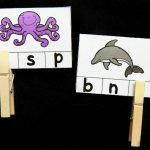 I recommend laminating the set if you are using with a group setting in a classroom. 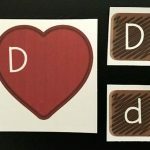 This will save you from needing to reprint ripped or bent clip cards! Gather a set of clothespins and set both the letter matching clip cards and the clothespins in a tray or basket. 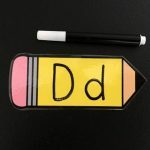 With activities like these letter matching clip cards, I will introduce the object of the activity as a whole group. In my classroom, this happens during circle time before breaking up into small group and free choice learning activities. After going over how the clip cards work, they will go into our learning center rotation for the morning. If I am unable to sit with my preschoolers at a certain center, I try my best to make the activity self-correcting. To make the learning area completely independent, you can write the correct answer on the back of the card in pencil. Or it can be beneficial to partner up kids so that if one is struggling with the activity, the other may be able to offer support. 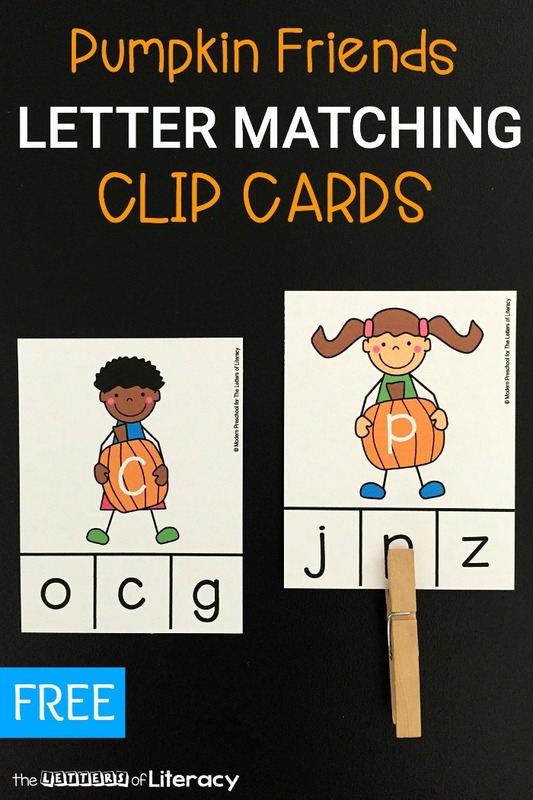 One of my favorite things about clip cards is the extra skills that are practiced and mastered while learning to match the uppercase and lowercase letters. 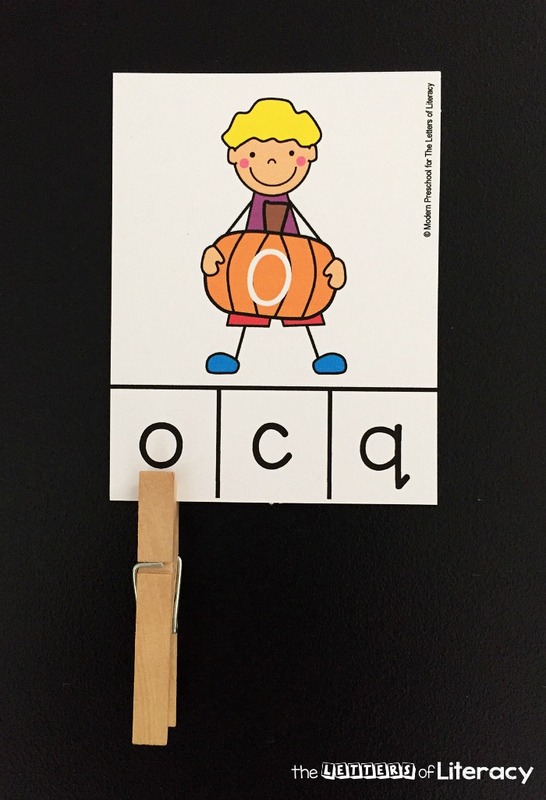 Each time that the child playing with the clip cards chooses the c instead of the o as the correct choice on the clip card below, visual discrimination is being used. 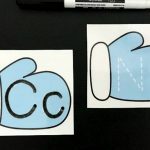 Both the c and the o are curvy letters, but the c isn’t closed. This is a skill that needs to be practiced in little learners. Fine motor skills are strengthened each time the clothespin is opened and closed, and hand-eye coordination is needed when placing the clothespin. So be impressed each time a clothespin is placed correctly! And if the clothespin is frustrating or interfering with success, be creative and use another kind of marker. I like the glass stones or even checkers as easy options. 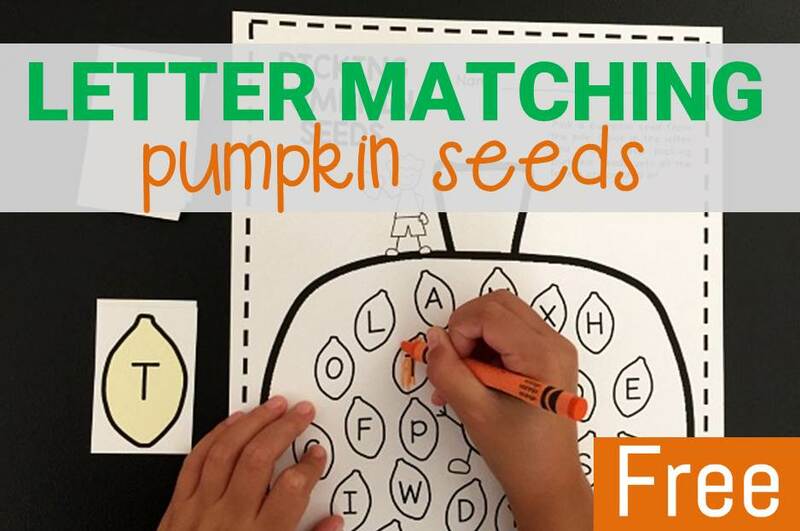 Grab your own set of Pumpkin Friends Letter Match Clip Cards by clicking the blue button below. 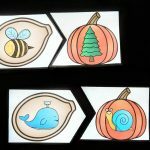 Then, hop over to our sister site and check out a great list of Pumpkin Books for Kids! 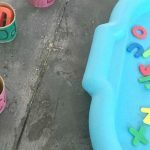 Working on matching letters of the alphabet? Here are some more of our favorite printables and activities.